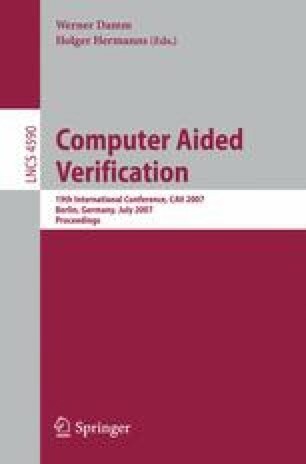 A recent approach to automated assume-guarantee reasoning (AGR) for concurrent systems relies on computing environment assumptions for components using the L * algorithm for learning regular languages. While this approach has been investigated extensively for message passing systems, it still remains a challenge to scale the technique to large shared memory systems, mainly because the assumptions have an exponential communication alphabet size. In this paper, we propose a SAT-based methodology that employs both induction and interpolation to implement automated AGR for shared memory systems. The method is based on a new lazy approach to assumption learning, which avoids an explicit enumeration of the exponential alphabet set during learning by using symbolic alphabet clustering and iterative counterexample-driven localized partitioning. Preliminary experimental results on benchmarks in Verilog and SMV are encouraging and show that the approach scales well in practice. This research was sponsored by the National Science Foundation under grant nos. CNS-0411152, CCF-0429120, CCR-0121547, and CCR-0098072, the US Army Research Office under grant no. DAAD19-01-1-0485, the Office of Naval Research under grant no. N00014-01-1-0796, the Defense Advanced Research Projects Agency under subcontract no. SA423679952, the General Motors Corporation, and the Semiconductor Research Corporation grant no. TJ-1366.